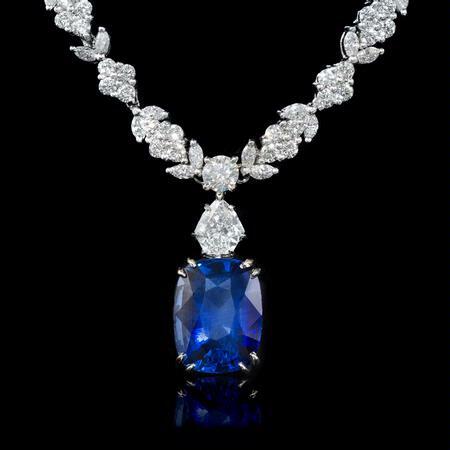 Diamond Details: Round brilliant cut white diamonds of F color, VS2 clarity and excellent cut and brilliance weighing 15.02 carats total. Gemstone Details: 1 Cushion cut blue sapphire of exquisite color, weighing 9.52 carats. Measurements: 17 inches in length and the drop measures 27mm in length. 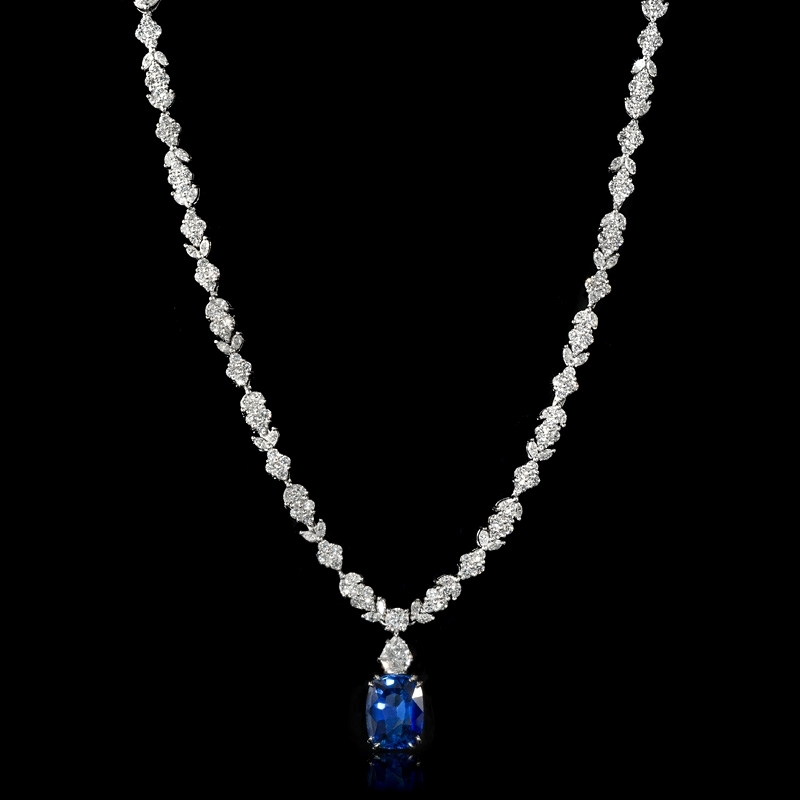 This fabulous platinum necklace, features 1 cushion cut blue sapphire of exquisite color, weighing 9.52 carats with round brilliant cut white diamonds of F color, VS2 clarity, and of excellent cut and brilliance, weighing 15.02 carats total. 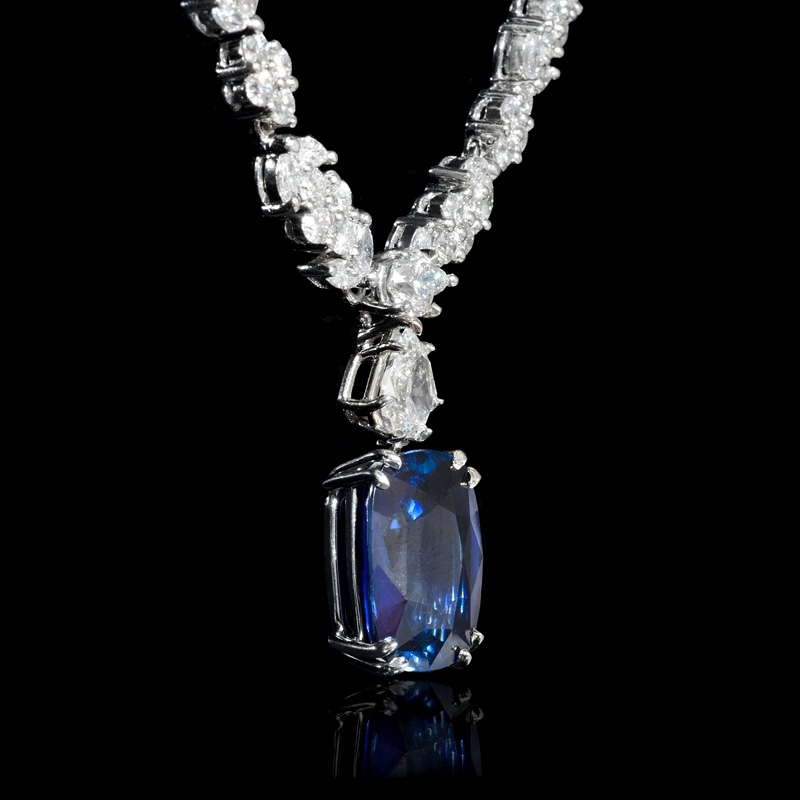 This charming necklace naturally draws admiring looks. 17 inches in length with the drop measuring 27mm in length.